William, the nineteen-year-old duke of Normandy, is enjoying the full fruits of his station. Life is a succession of hunts, feasts, and revels, with little attention paid to the welfare of his vassals. Tired of the young duke’s dissolute behaviour and ashamed of his illegitimate birth, a group of traitorous barons force their way into his castle. While William survives their assassination attempt, his days of leisure are over. He’ll need help from the king of France to secure his dukedom from the rebels. On the other side of the English Channel lives ten-year-old Ælfgifa, the malformed and unwanted youngest sister to the Anglo-Saxon Jarl, Harold Godwinson. Ælfgifa discovers powerful rivalries in the heart of the state when her sister Ealdgyth is given in a political marriage to King Edward, and she finds herself caught up in intrigues and political manoeuvring as powerful men vie for influence. Her path will collide with William’s, and both must fight to shape the future. 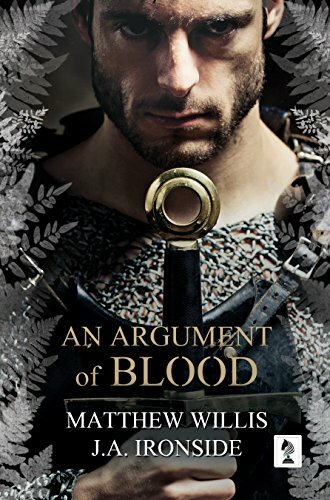 An Argument of Blood is the first of two sweeping historical novels on the life and battles of William the Conqueror. J.A. Ironside (Jules) grew up in rural Dorset, surrounded by books - which pretty much set he up for life as a complete bibliophile. She loves speculative fiction of all stripes, especially fantasy and science fiction, although when it comes to the written word, she's not choosy and will read almost anything. Actually it would be fair to say she starts to go a bit peculiar if she doesn’t get through at least three books a week. She writes across various genres, both adult and YA fiction, and it’s a rare story if there isn’t a fantastical or speculative element in there somewhere. Jules has had several short stories published in magazines and anthologies, as well as recorded for literature podcasts. Books 1 and 2 of her popular Unveiled series are currently available with the 3rd and 4th books due for release Autumn/ Winter 2017. She also co-authored the sweeping epic historical Oath and Crown Duology with Matthew Willis, released June 2017 from Penmore Press. Jules now lives on the edge of the Cotswold way with her boyfriend creature and a small black and white cat, both of whom share a god-complex. 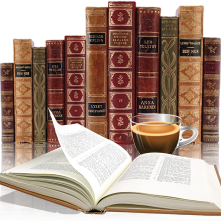 Matthew Willis is an author of historical fiction, SF, fantasy and non-fiction. In June 2017 An Argument of Blood, the first of two historical novels about the Norman Conquest co-written with J.A. Ironside, was published. In 2015 his story Energy was shortlisted for the Bridport short story award. Matthew studied Literature and History of Science at the University of Kent, where he wrote an MA thesis on Joseph Conrad and sailed for the University in national competitions. He subsequently worked as a journalist for Autosport and F1 Racing magazines, before switching to a career with the National Health Service. His first non-fiction book, a history of the Blackburn Skua WW2 naval dive bomber, was published in 2007. He now has four non fiction books published with a fifth, a biography of test pilot Duncan Menzies, due later in 2017. He currently lives in Southampton and writes both fiction and non-fiction for a living. During the Book Blast we will be giving away a signed copy of An Argument of Blood! To enter, please enter via the Gleam form below. – Giveaway ends at 11:59pm EST on February 7th. You must be 18 or older to enter.